30.12.2015. 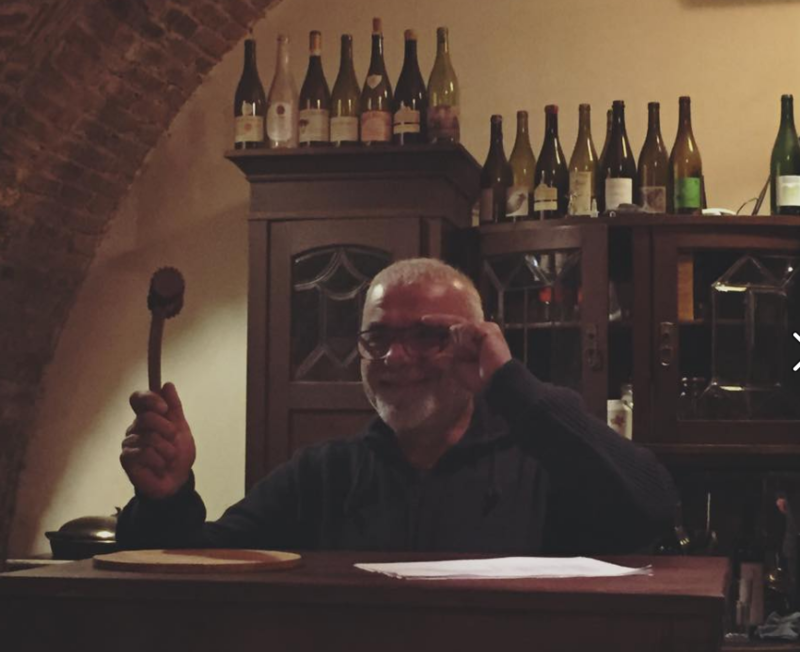 On December 27, in an informal setting in Vino Underground ▼Map , the natural wine manufacturers and enthusiasts conducted auction in support of John Wurdeman and sold rare Georgian natural wines from private collections [read more here]. 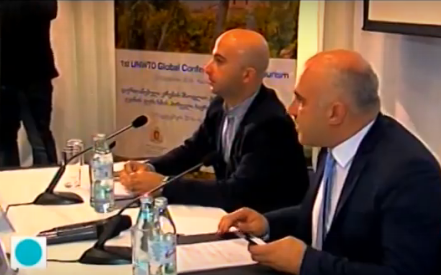 Unique wines from almost all wine regions of Georgia - Kakheti, Kartli, Imereti, Guria, Samegrelo and even Meskheti (wines from there are not available now in Georgia) were represented in the auction. These were, for example, Tsitska-Tsolikouri 2010 and Tsolikouri 2013 from Nicoladze Wine Cellar, Iago's Wine 2003, Naotari’s Kisi 2012, Our Wine’s Rkatsiteli Tsarapi 2006, Amber-coloured Chkhaveri 2010 by Iberieli, Saperavi 2012 by Kakha Berishvili and others. 56 bottles of wine sold in total (23 retail, and 33 in lots) and the sales amounted to 18 020 GEL. 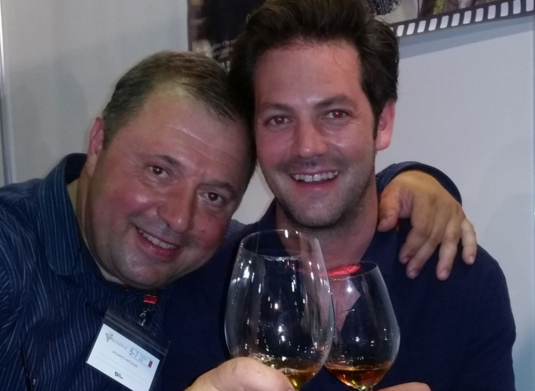 Niki Antadze’s Rkatsiteli 2010 was sold at 1200 GEL that was the most expensive wine sold in the auction. Iago’s Chinuri and Jakeli Organic Vines and Wine’s Saperavi Khashmi were sold at 1010 GEL. Particularly interesting was activity of women in the auction, who did not let Mandili’s (Marina Kurtanidze, Tea Melanashvili) Mtsvane to anyone and bought this wine at 850 GEL. 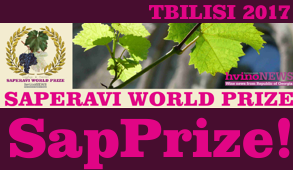 The most expensive among the wines grouped in lots was a lot consisted of Saperavi 2013 by Kakha Berishvili, Iberieli’s (Zurab Topuridze) Chkhaveri 2009, Coupage of Jani and Skhiltaubani and Mtsvane by Okro Wines. 26.12.2015 (Hvino News) On December 27th, at 4 PM, the friends of John Wurdeman and the Georgian natural wine invite you to the charity event to be held at Vino Underground, G. Tabidze Street 15, Tbilisi ▼Map . There will be an auction of rare and collectible Georgian natural wines that are not found anywhere else on the market. John Wurdeman is founder of Georgian wine brand Pheasant's Tears and a well-known advocate of Georgian natural wine and culture. 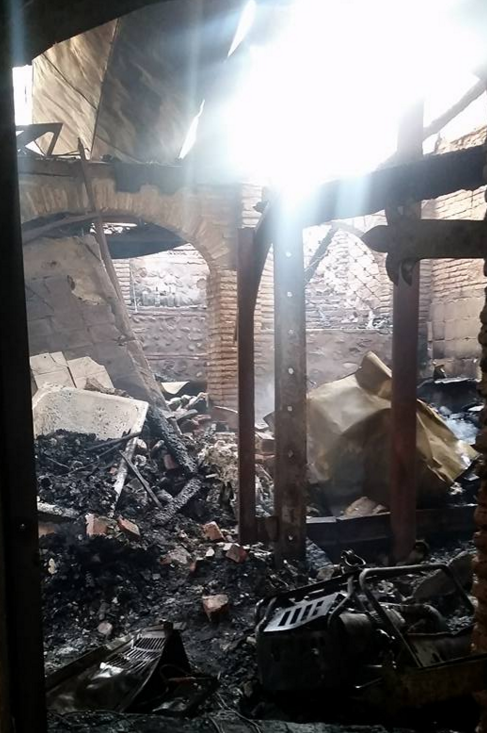 John's friends and colleagues are joining forces to support him, because on December 11th Wurdeman's house in Sighnaghi (Kakheti) was completely destroyed by fire. All his personal possessions and the ethnographic artifacts that he and his wife have been gathering over past 20 years are lost in fire. The fire also damaged Pheasant's Tears wine cellar ▼Map where John hosted his guests. It was the house where John, born and raised in the U.S., settled in the 90-es. Read more about John Wurdeman here: How a CD in Virginia led to a wine rebirth in Georgia and Pheasant’s Tears wine blends traditional elements of Georgian culture. Just days ago Hvino News wrote about one of Pheasant's Tears wines featured in Bloomberg's top wines list. Earlier, an emergency crowdfunding campaign in support John Wurdeman was launched, which already raised $23,750 out of $30k needed. 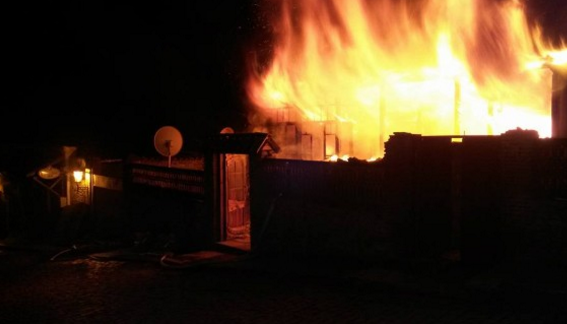 All funds will be used by John and Ketevan to rebuild their home. For everyone interested in helping John Wurdeman and his family to rebuild his home and cellar, here is the link to his crowdfunding page: https://www.gofundme.com/m2ej8rb2. Georgian Rkatsiteli in Bloomberg's best wines list, called "fascinating"
24.12.2015 (Hvino News). "I am always asked if I drink inexpensive wines. 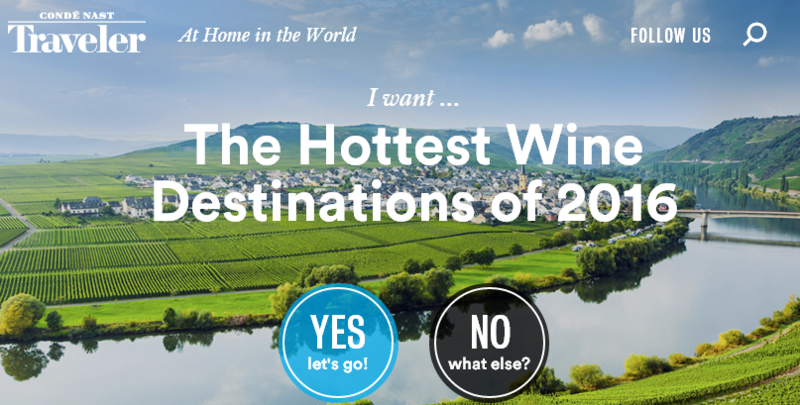 Of course, I do – if the wines are really good. 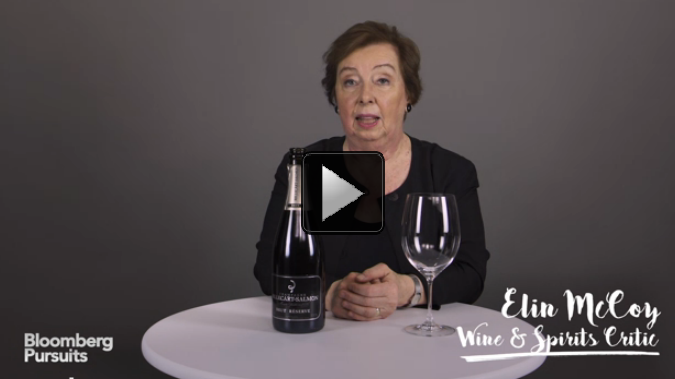 Happily, I can report that it is easier than ever to buy great stuff without spending a fortune,” - says wine critic Elin McCoy, who authored article on the Bloomberg website that lists the 50 best wines under $50 USD. "Fermented on grape skins like a red, this delicious apricot-y white from the Republic of Georgia is an “orange” wine aged in clay amphoras", - says McCoy about the only Georgian wine in her list - Pheasant’s Tears Rkatsiteli wine (see Hvino's Catalogue's three entries here). It is listed at price $20 USD. The author tasted all of the wines including Pheasant’s Tears Rkatsiteli and says the wine delivers plenty of value for the price. Elin McCoy placed Georgian wine into a group entitled "Wines for Geeks - Fascinating niche bottles" - together with: 2004 Lopez de Heredia Vina Bosconia Reserva; 2012 Paolo Bea Umbria Bianco Santa Chiara; and Valdespino Fino Inocente Sherry (which all have higher price tags). Bloomberg is one of world's leading media companies, a major source of financial data. 17.12.2015 (Hvino News). Schuchmann Wines Georgia announced plans to promote wellness tourism in the country, wine therapy (vinotherapy) in particular. Nutsa Abramishvili, head of Schuchmann Wines, said that work on design of "Schuchmann Wine Spa" complex has already begun. It will be a complex offering relaxing, spa and wellness procedures. In her words, the company's goal is to create local brand focused on recreational tourism that has great potential in Georgia. 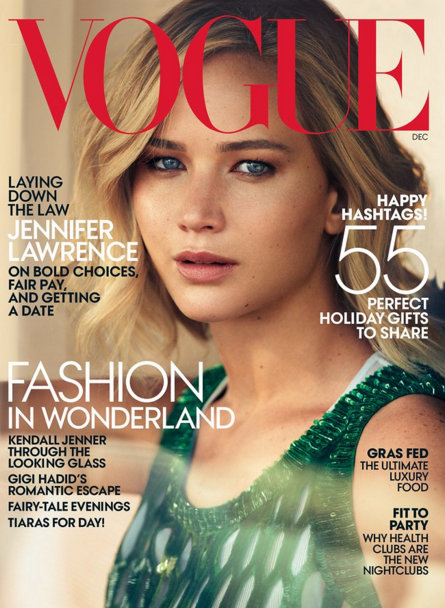 She notes it is the so-called "luxury" trend and prices are slightly higher than average, however, they will be available for the guests of the complex. One of the first a "Vinotherapy" spa hotels was opened in La Rioja, Spain. Vinotherapy makes use of the benefits from the grape and the vine extracts to provide effective skincare treatments, with anti-ageing action. 12.12.2015. [Part of interview with Stetson Robbins, sales manager at Blue Danube Wine Company, a U.S. importer of Georgian wines]. Let’s talk about the producers. How would you introduce them? S: I’ll start with Kindzmarauli Marani and Shumi who share a similar story. Both are larger, modern wineries, producing “European-style” wines. This means that instead of qvevri they use stainless steel and/or oak barrels. They are located on either side of the Alazani River, in Kakheti — Georgia’s largest wine region — within two major appellations. Kindzmarauli Marani is on the left bank in the Kindzmarauli appellation ▼Map , known for semi-sweet reds. Shumi is on the right bank within Tsinandali ▼Map , an important white wine appellation. Even though both are considered large wineries, there is so much care that goes into the wines. Instead of purchasing fruit, both source from their own estates. 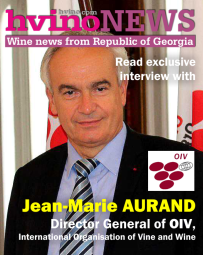 Both are also dedicated to Georgia’s viticultural future. You can find experimental vineyards at both estates with hundreds of varietals, both indigenous and international. The goal is to see which grapes are most successful in their conditions. It’s encouraging to see this interest in supporting Georgia’s rich viticultural heritage from large and small producers alike. The rest of the producers employ more traditional methods, using qvevri for fermentation and aging. If you want a window into the past, drink the wines from Shavnabada Monastery. 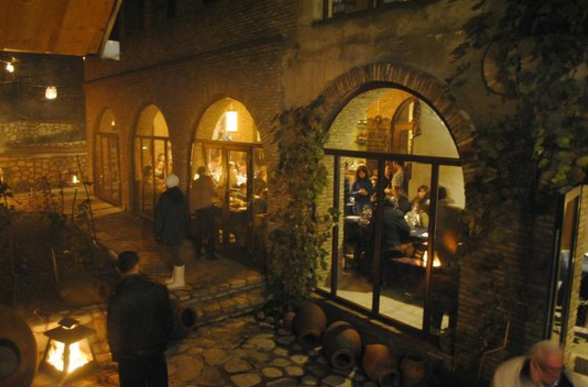 This Orthodox monastery is located on the outskirts of Tbilisi ▼Map , where classical wines are made under the strict supervision of the Monks. These Monks have been instrumental in making high quality qvevri wines for many centuries. The monastery is so far off the beaten path that we would not have known about it had it not been for Jean-Michel Morel of Kabaj in Slovenia. He apprenticed at this winery and was the one that introduced us to the wines. Drinking these wines is an almost spiritual or sacred experience. 07.12.2015. Georgian wines have been making their way onto wine lists at some of DC’s trendiest restaurants lately, but the wines themselves are anything but faddish. Georgia is home to the world’s oldest continuous winemaking tradition, stretching back more than 7,000 years. Its most talented vintners are making natural wines using native grapes and ancient fermentation methods that yield complex flavors you won’t find elsewhere. Join Wendy Stuart of Food Works Group and Jenny Holm of The Georgian Table for a guided tasting and discover the fascinating stories behind these one-of-a-kind wines. 06.12.2015. 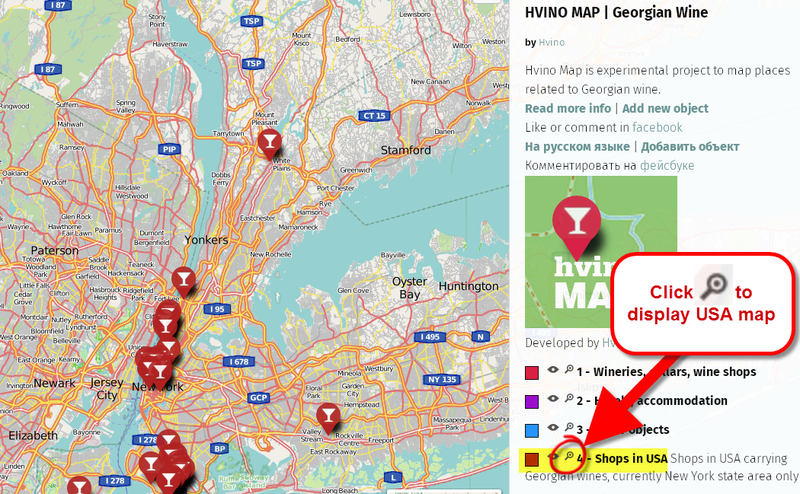 As holiday season is coming, we at Hvino.com have prepared a big load of presents to our clients and friends - wine producers and other companies who want to raise their brand visibility among international readership. 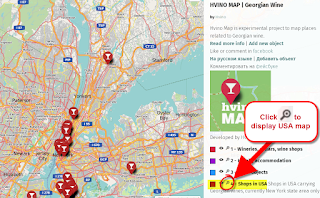 Since our launch in 2012, Hvino has grown into a multi-function portal consisting of 6 independent web resources. 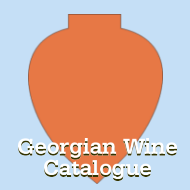 It includes new unique services such as first Georgian Wine Catalogue, and first interactive Wine Map. Our core daily English news service Hvino News with ever-growing traffic reaches every country of the world (to be exact, 169 countries!). Instead of a long list of all our marketing and advertising possibilities, discounts, and bonuses on all 6 sites, we are making one simple Holiday Season Offer. We give 1-3 months of FREE BONUS SERVICE and/or 25%, 35% and 50% DISCOUNTS from usual price, and we advise which our services are most cost-efficient for your goals! If you are a company interested in promotion with us, simply tell us which target group you want to reach with your message, and what's your budget limit. That's all. Our marketing professionals will quickly (in 24 hours) present SEVERAL alternative packages for your choice. Our proposals will be made individually, to meet your specific needs, based on optimal use of ALL our tools. We hope this approach will help you save time (and money). Take advantage of Hvino's Holiday Season Offer. 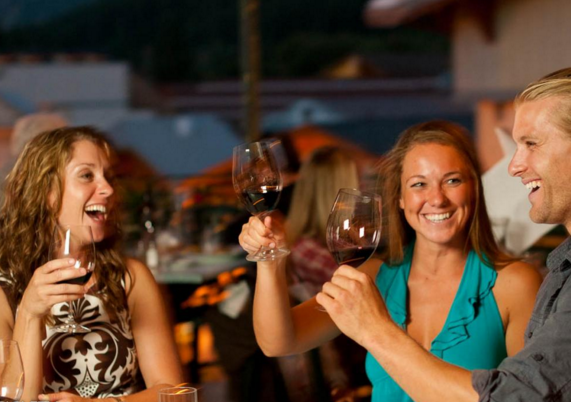 It's the best time to plan your 2016 Hvino marketing campaigns with huge savings. 06.12.2015 (Hvino News). Last October Post Magazine, a popular Hong Kong's magazine published by South China Morning Post, has featured an article on Georgian white wines. Today the Chinese lifestyle periodical explores the theme further with its second take on Georgian wines, by the same author Sarah Wong. Teleda (Orgo) Saperavi 2007, HK$420. Sarah Wong writes: "Gaumarjos! Georgia, as mentioned in these pages recently, has a wine history that dates back to ancient times. The tamada, or toastmaster, has long played an integral role in the ritual of wine drinking. A tamada is similar to a master of ceremonies, and his job is to introduce each toast during feasts and other celebrations... Cheers, or, as they say in Georgia, gaumarjos!" 27.11.2015. Temori Saalishvili lifts a lid from a round ceramic vat in the concrete floor of his basement. With a wooden pitchfork, he stirs a bubbling, pungent, amber-coloured liquid filled with grape skins, stems and seeds. After several more days of fermentation, the liquid will turn into young, full-bodied "orange" wine with strong tannins and fruity overtones. The wine seems to have absorbed the flavours of the landscape around it: walnut and persimmon trees skirting stone houses, a patchwork of sun-kissed fields and lush meadows watered by the snow-covered Greater Caucasus Mountains, and garlands of dry saffron flowers hanging in Saalishvili's kitchen. Most European wines are made by fermenting grape juice after it has been separated from the grape skins. But traditional Georgian wine, or hvino, is skin-fermented without yeast and chemicals, mostly in containers similar to the one below Saalishvili's basement floor. It is called kvevri - an earthenware vat more than two metres tall that was installed by Saalishvili's grandfather half a century ago and is now a subterranean pillar of the world's oldest viticulture. 25.11.2015. (Hvino News). 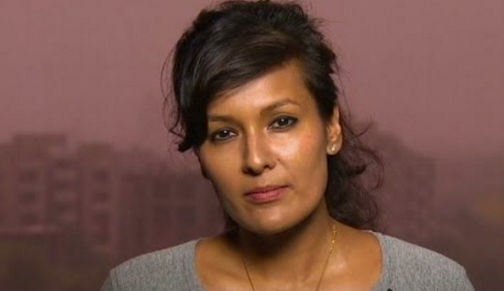 Sumnima Udas, CNN International's Delhi-based correspondent, presented the new CNN video following the Silk Road route. "Visit Kakheti, Georgia's lush wine-producing region and find out why many believe the country is the world's cradle of wine”, -reports the new CNN video devoted to Georgia's Tbilisi and Kakheti. 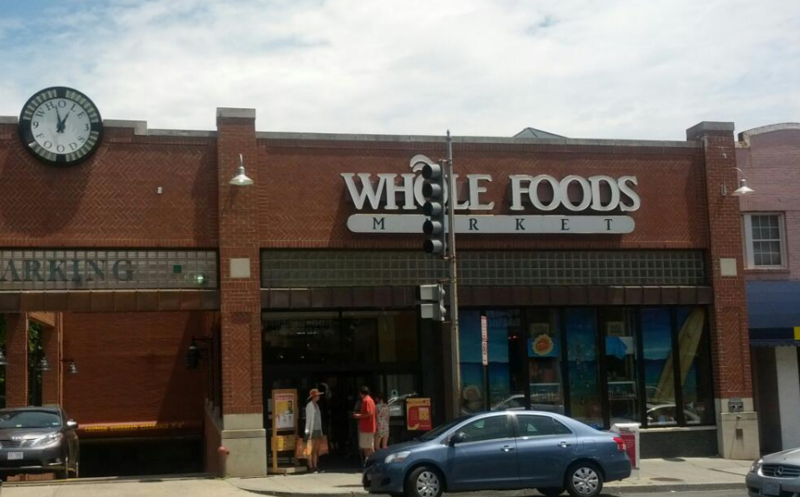 Whole Foods Market – Georgetown, 2323 Wisconsin Ave N.W. 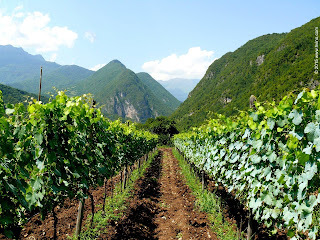 Georgian Wines will include: Teliani Valley's Tsolikouri, Tvishi, Saperavi, Mukuzani, Kindzmarauli. We will be tasting the following wines: Teliani Valley's Tsolikouri, Tvishi, Saperavi, Mukuzani, Kindzmarauli, Schuchmann Pirosmani, Schuchmann Mukuzani. 22.11.2015. If you are a wine enthusiast currently in the United States, you have a chance to taste Georgian wine for free. Thanksgiving Georgian wine tastings will take place at four different locations in Washington D.C., Maryland, and Virginia this week. Free wine tasting will include Teliani Valley's Tsinandali, Tvishi, Saperavi, Kindzmarauli. "Thanksgiving is approaching and we have excellent Georgian wines that in our opinion pair particularly well with the spirit of Thankgiving and the accompanying dinner table,” said event organisers. At Whole Foods Market located in Georgetown ▼Map the Georgian wine tasting will be held on November 22th at 12:00 pm - 3:00 pm; on November 24th - at 4:00 pm - 7:00 pm. For full schedule of Georgian wine tastings in Washington D.C., Maryland, and Virginia in November - December click here. 17.11.2015. Two young Co Down [County Down is one of six counties that form Northern Ireland - HN] friends are bringing the tastes and smells of the Georgian wine industry to some of Northern Ireland's top restaurants. Adam McCullough and Simon Bryans, both 22, from Holywood, are now selling some of the Baltic [J yes, that's the way the original Irish newspaper reads - HN] state's top red and white tipples on to top tables, including the now Michelin-starred Deanes Eipic restaurant in Belfast. The pair have combined both their love of wine, and a gap in the market, to introduce Northern Ireland and the Republic to something entirely new, with their business Harland Wines. 16.11.2015 (Hvino News). On November 15-17 China's Guangzhou is hosting the 15th International Wine and Spirits Exhibition - Interwine Guangzhou 2015. 9 Georgian wine companies are taking part: Besini, Askaneli Brothers, Bagrationi 1882, Teliani Valley, Dugladze, Kakhuri Wine Cellar, Khareba, Telavi Wine Cellar, Batono. 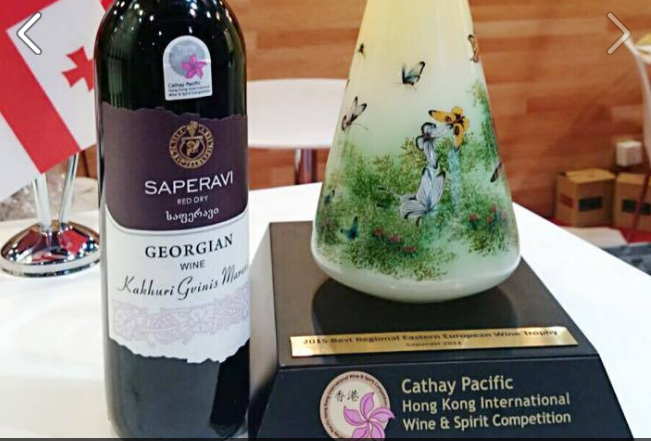 Wine contest Interwine Guangzhou 2015 was held in the framework of the exhibition, at which Georgian wine company by Teleda won the gold award. The winning wine is Teleda Amber Dry 2011. Total 183 wines from 23 countries were submitted to the wine contest. China(Guangzhou) International Wine & Spirits Exhibition (Interwine) was founded in 2005 and located in Guangzhou, South China. As an international exhibition, Interwine has established close business relationships with wineries from 72 countries. The exhibition facts show that after 10 years development, Interwine has collected more than 2000 exhibitors and 50000 visitors and covered 50000 square meter exhibiting area totally. 11.11.2015 (Hvino News). 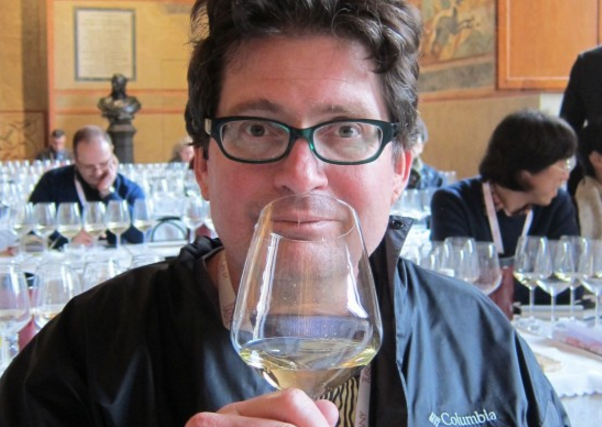 American wine writer W. Blake Gray covered Georgian wines in his blog's recent post entitled "Georgian wines: an interesting pawn in U.S. geopolitics". 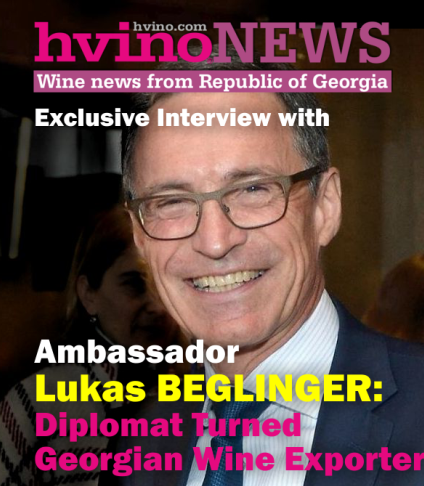 The article was based on a Georgian wine tasting conducted recently by Lisa Granik in San Francisco, in the framework of Georgian Wine Month in USA. 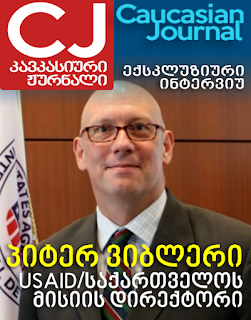 The post starts with somewhat ironical mention of the American governmental assistance to Georgian winemaking industry: "Quick quiz: can you name the country whose wines get financial support from the U.S. State Department? If you said the United States of America, nice try. 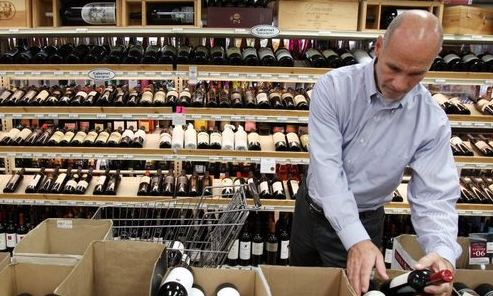 The U.S. government's idea of supporting its own country's wine is to keep the beer & wine distributors who heavily contribute to political campaigns happy. It's not like the European Union, where wine producers get all sorts of government support. No, the answer is a country that is in Europe, but not in the E.U., and therefore not able to balance its budget with money from Germany. It's Georgia: "the country, not the state," as you have to tell everyone whenever you talk about Georgian wine." 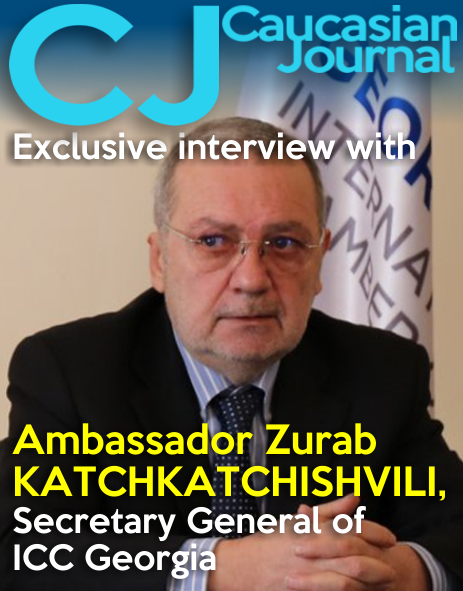 The author further makes assessment of Georgian wine production, pointing out that "Georgia produces 15 million cases a year, which sounds like a lot from a country of 4.5 million people, but it's only about as much as Barefoot Cellars, and it's only about 60% of what it produced in the Soviet era". 10.11.2015 (Hvino News). 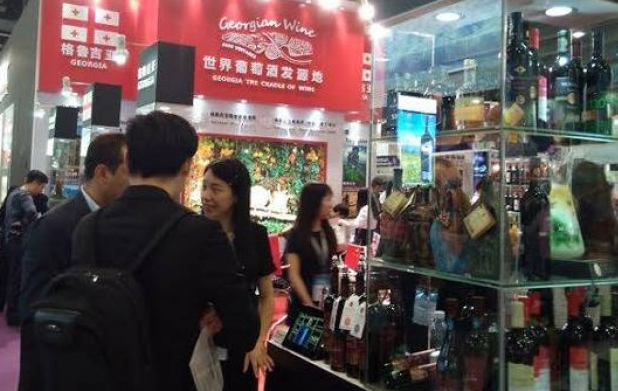 The 8th HKTDC Hong Kong International Wine & Spirits Fair, one of the largest fairs of its kind in Asia, was opened on November 5-7 with more than 1,000 exhibitors from 32 countries and regions. 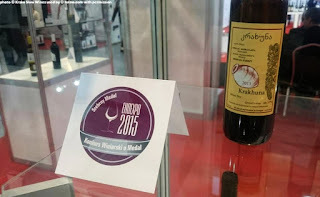 Georgian Saperavi 2011 wine from Kakhuri Gvinis Marani (Kakhetian Wine Cellar) has won two top awards: Grand Prix in the nomination of Best Regional Wine in Eastern Europe, and the Gold Medal. 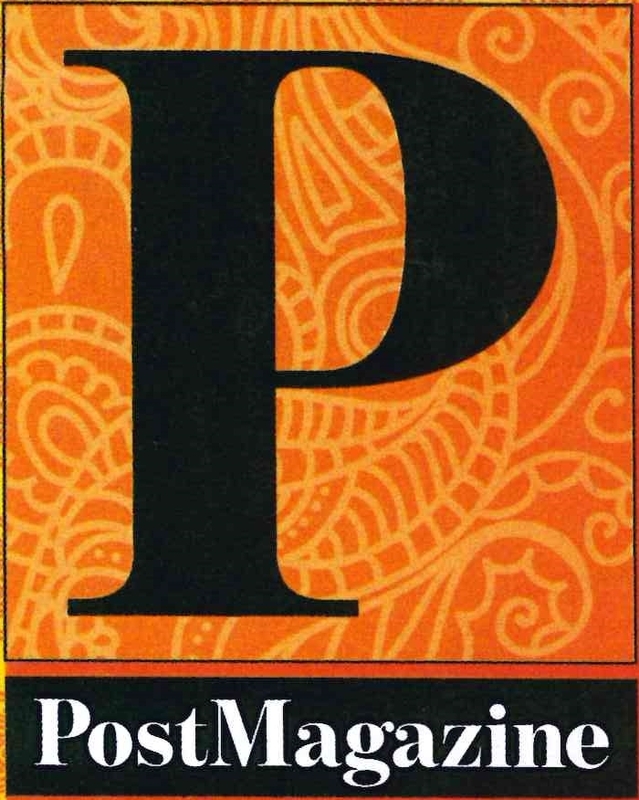 The Bronze Medal was given to Mukuzani 2011 by the same company. Other Georgian companies represented at HKTDC include Tbilvino, Winery Khareba, Kakhetian Traditional Winemaking, Badagoni, Georgian Wine House, and Georgian Wines & Spirits Company. 09.11.2015 (Hvino News). 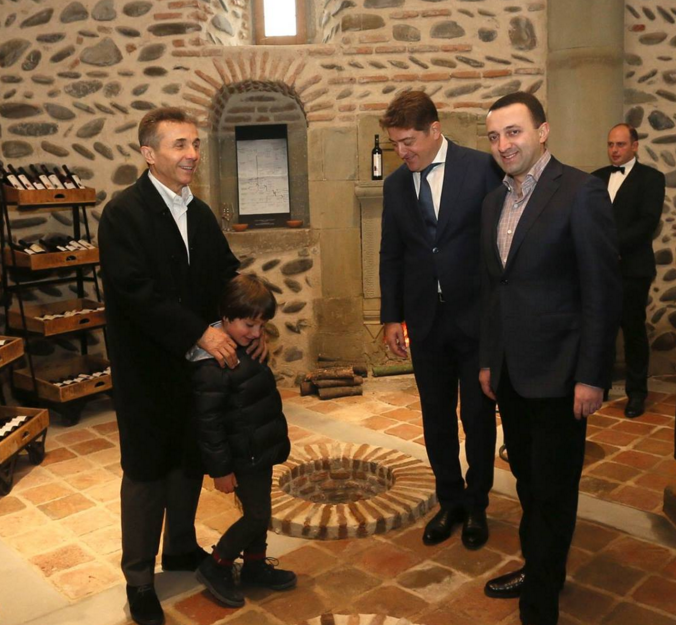 On November 8, the opening ceremony of the renovated and restored historical marani (wine cellar) of Tadeos Guramishvili took place in village Saguramo, in presence of prime minister of Georgia Irakli Garibashvili, ex-prime minister Bidzina Ivanishvili, and the members of the Georgian government. The historical wine cellar is situated on territory of Ilia Chavchavadze Museum. The officials were attending the Museum on the occasion of Ilia Chavchavadze's anniversary (Prince Ilia Chavchavadze was prominent 19-th century Georgian politician and poet). The marani project in the village Saguramo, Mtskheta region ▼Map , was implemented by wine-producing company Kakhetian Traditional Winemaking. This is a historical monument of the XVIII century, preserving unique Georgian wine-making equipment. 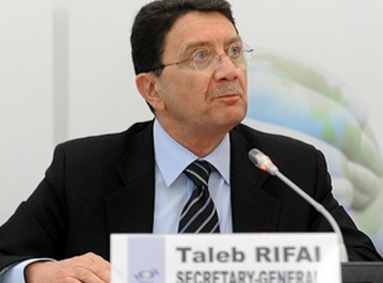 Tourists will be able to visit the historical cellar of Tadeos Guramishvili, and to get acquainted with Georgian culture and taste Georgian wine. 08.11.2015 (Hvino News). 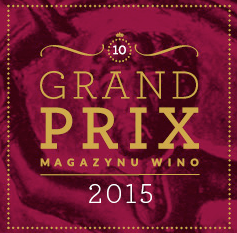 Polish specialized magazine Wino has awarded Georgian wine with prize at Wino's Grand Prix awards (Nagrody Grand Prix Magazynu Wino 2015). 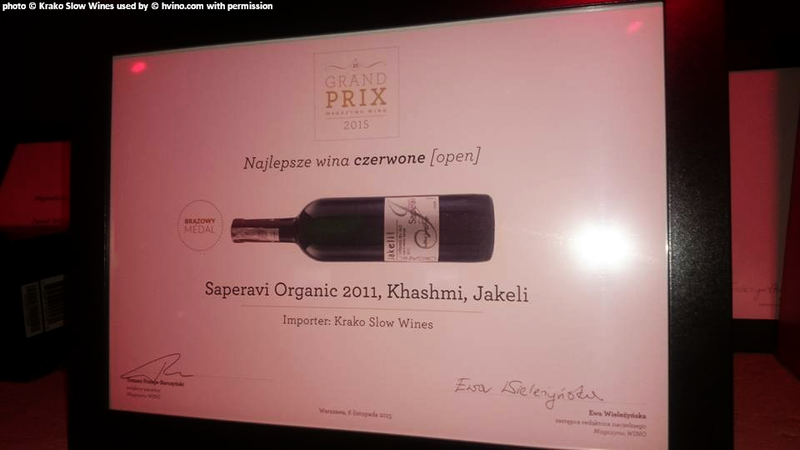 The winner of a bronze Grand Prix in category "Best red wines" is Jakeli's Khashmi Saperavi Organic 2011.This Georgian wine is imported to Poland by Krako Slow Wines. Wino is a bi-monthly magazine established in 2002, currently the largest independent wine periodical in Poland. Jakeli's family vineyard (5.5 ha) ▼Map was started in 2001 near the village Khashmi in the Iori valley, Kakheti, at the foothill of the Tsivgombori mountain range. The vineyard is at 760 meters above sea level. It is managed organically, never irrigated and sprayed maximum 5 times in May-July. No oak barrels are used, and no filtering. Jakeli winery became member of the Biological Farming Association ELKANA in 2004. Since 2009, their production is certified organic according to standard Green Caucasus. 07.11.2015 (Hvino News). 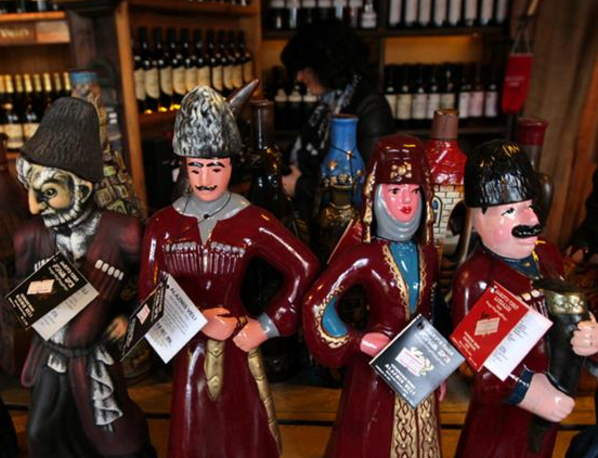 On November 4-6 in Krakow, Poland, 11 Georgian wine companies participated in the international wine fair ENOEXPO 2015: Telavi Wine Cellar, Teliani Valley, Vaziani, Khareba Winery, Askaneli Brothers, Corporation Kindzmarauli, Kakhuri, Besini, Twins Wine Cellar, Chateau Telavi, Tibaneli. Within the fair a 7th ENOEXPO 2015 Winemaking Competition was held. According to recently announced results, just one Georgian wine is among winners: a silver medal was awarded to Amiran Vepkhvadze's Krakhuna 2013. In 2014, Georgia won 9 medals at ENOEXPO, including 4 gold medals (see details here). In 2013, Georgia was awarded with 6 medals, including 2 gold (see details here). So, compared to previous years, Georgia's achievements show a sharp decrease. Poland is an important export market for Georgian wine, according to National Wine Agency. 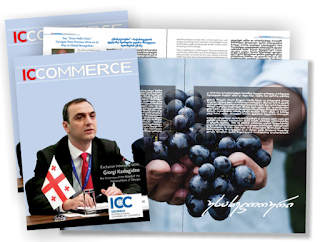 Latest figures showed Georgia exported 1.26 million bottles of wine to Poland during the first 10 months of 2015, a 2% increase from the same period of last year. 06.11.2015. Georgia has exported 28,101,431 bottles of wine to 42 countries in the first 10 months of 2015, generating $77.2 million USD. In recent months Georgian wine was gaining popularity and making an impression in strategically important markets such as China, the European Union (EU) and United States (US), said local wine experts. The Georgian National Wine Agency reported China was one of the most strategically important markets for Georgia, where wine exports had increased by 87 percent. Between January-October 2015 Georgia exported more than 1.8 million bottles of wine to China. France – 29,100 bottles (104 percent increase).